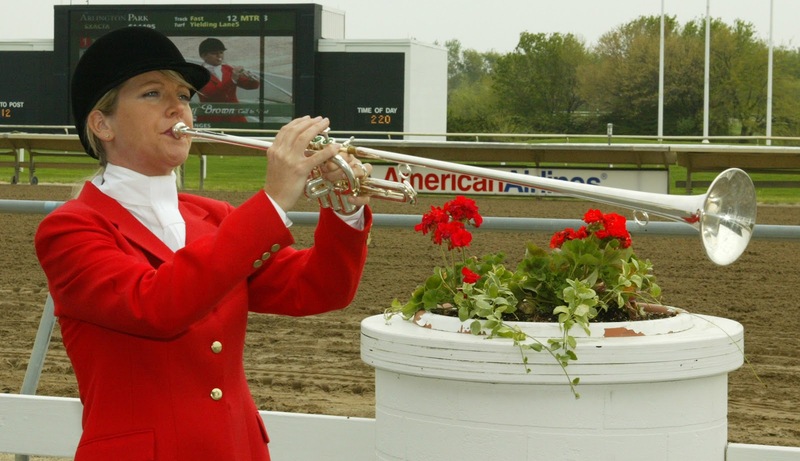 The glamour-boys and girls of both gaits go for more gold this weekend. The pacing colts gather at the Meadows in another $600,000 mile, The Adios Pace, with the femmes going in the Adioo Volo. It is the last day of the Grand Circuit meet at the Pennsylvania oval and it looks like tooth-and-nail battles a brew. Sophs bred in New Jersey battle for berths in the New Jersey Classic and Miss New Jersey final with elims at the Meadowlands on July 28. It is also Hambletonian elims day on July 28, where the colt and filly trotters set up the finals for Aug. 3. 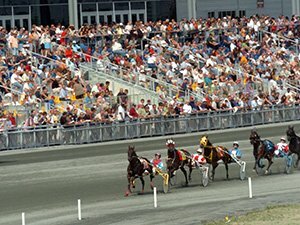 We will be working the Meadowlands live on Aug. 3, with tweets and reports and updates, etcetera, TwinSpires being the only on-site coverage, in association with the Hambletonian Society and the Meadowlands. For an analysis of the elims, go to our exclusive Hambletonian Trail. The result stories (and archived reports of all the eligibles performances in stakes since May) are at the Hambletonian Society. Froshes fight for early fame in the Peter Haughton and Merrie Annabelle elims, as well as a soph Sweetheart prep at the Meadowlands on July 27. Sweet Lou is the likely chalk on his home turf but we don’t like him to win the final. We like to see a repeat of the “Pace,” giving the final to A Rocknroll Dance. He never gets lucky in his stakes eliminations. He was interfered with in the North America Cup, locked at the cones till the final 16th in the Pace and went a first-over mile against Sweet Lou in last week’s contest. A Rocknroll Dance, this time, will take the lead and pace a hole in the wind from the first eighth till the race has finished. He is a tough colt and he doesn’t let anyone get the lead easily if he wants it. Thinking Out Loud will be a factor in the Adios trifecta and perhaps the second element of the exacta. He is a hard closer and raced unusually in the Pace, going first over after getting away third. He will have to sit mid-pack or last to be able to close well and finish in the top three but should get a piece of it as the group dismisses Sweet Lou. To enhance the Adios card for bettors, the Meadows’ late Pick 4 (Races 10-13) will offer a guaranteed $15,000 pool and the Pick 3, spanning Races 12-14, will carry a $7,500 guaranteed pool, both offered in association with the United States Trotting Association Strategic Wagering Initiative. Saturday’s powerful card also features three additional Grand Circuit stakes: the $150,000 (est.) Adioo Volo for soph-filly pacers, the $100,000 (est.) Gov. Lawrence for freshman colt pacers and the $100,000 (est.) Catherine Baker Knoll for frosh filly pacers. First post for the 18-race program is 12:20 p.m. We will be tweeting updates and pics @FrankCotolo and @RayCotolo on Twitter, so click to follow the afternoon action. It’s a big week for frosh stakes, too, as the Hambo weekend at the Meadowlands hosts the usual array of stakes elims, though two events will got straight to finals (the Sweetheart for filly pacers hosts a prep on this program, July 27). The Peter Haughton stake brings together next year’s Hambo hopefuls, frosh colt trotters that hope to nail this and the Breeders Crown so that all eyes will be on them for returning at three. Steffan Lind, who won a Hambo a few years back with Scarlett Knight, his Scandinavian wonderboy trotter, trains Fico, a Credit Winner colt that has been strong and steady in Mohawk qualifiers. His first start at the Meadowlands was impressive from post 8 and he should improve here, where he will show true class if he has any. The crowd will go heavy on the Jimmy Takter duo, for sure. The second elim for the boys presents a field that is tightly represented by its talent and you could listen to a case made for any one of them to win. Looking for value, however, should lean on the green colts that could improve with lesser credentials to support their growth. This is why Fashion Blizzard gets our eye here. Trainer Jim Campbell has been doing very well with trotters based on his association with the Pennsylvania-based Fashion Farms and this Credit Winner son may be far better than his single win in two starts. We assume the crowd will be looking at the Takter horse and the coupled pair of Deweycheatmnhowes from the Schnittker barn, giving Jim’s colt a bit of bargain in the odds. The two Merrie Annabelle elims are full fields of fresh frosh fillies and in the first, pay attention to the young career of Lady Rivera for a possible price. While the crowd gets excited by the Deweycheatmnhowe and Chocolatier products, this Sand Vic gal comes off a dynamic state-bred win at Monticello and has already won at the Meadowlands. In the second “Merrie,” UF Tadys Donato is hot enough to burn the fractions after a storming Pocono Downs victory. The other Donato Hanover filly will get a lot of attention in the pools but others here can lure bettors, giving “UF” a good send-off win price. State-breds cover the elims for the New Jersey Classic (colt pacers) and the Miss New Jersey (filly pacers) on the big Saturday night Meadowlands car. In the first mile for the colts, Verdad comes back after two tough trips to get back into the glamour-boy division’s headlines and had a good shot at a decent price here. Time To Roll has raced with the best of them and the class-hounds of wagering won’t let him escape from favoritism. This is good for bargain hunters who have carefully watched Verdad since we had him at 5-1 and he won here three back. In the second colt outing is Hurrikane Kingcole, who we loved in his Adio elim but was caught wide around the first turn as Bakin On The Beach made a break. So he could not get the spot he wanted. He might not be ignored in the wagering this week after winning the Pace Consolation but he is a mighty threat here. The filly to keep in your sites in the sole elim of the “Miss” is Blackjack Princess. We haven’t given up on this one and we want to be there when she paces the mile we expect from her. This could be that mile and at a price. There are 11 going to post, the top eight get into next week’s final.